Beautiful world globe! 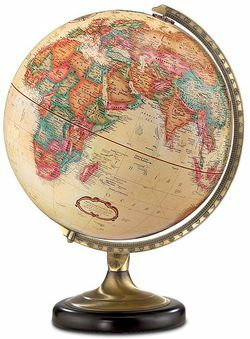 This 12" diameter antique ocean desktop globe pushes the envelope of classic form. The Sierra's antique brass-plated, calibrated semi-meridian is mounted atop an antique brass and black metal base. An elegant globe that finds its roots in tradition.